Quotations about Art and the Artist. Quotes to stimulate mind and drive action! Use the words and quote images to feed your brain inspiring things daily! 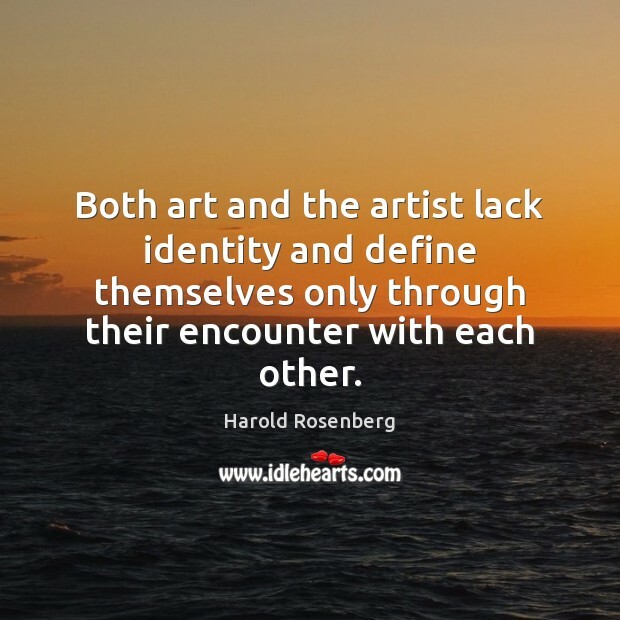 Both art and the artist lack identity and define themselves only through their encounter with each other.